Compatible With T2 Models in 1968-1979. Compatible With Models in 1967-1979. Interior door handle for the right side in chrome. Interior door handles in chrome. Supplied in pairs. Pull handle trim for the interior door handle in chrome. Supplied individually. 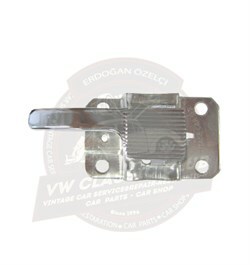 Finger plate for the interior door handle. Supplied in pairs. Window winder handle in chrome. Supplied in pairs. 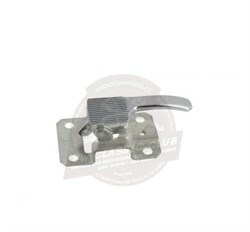 Window winder handle in chrome with black knob. 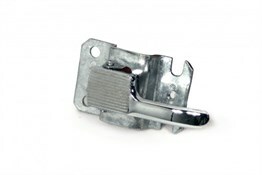 Sliding door exterior handle with lock in chrome. Cab door handle in chrome. Supplied individually.